I've always liked Col. 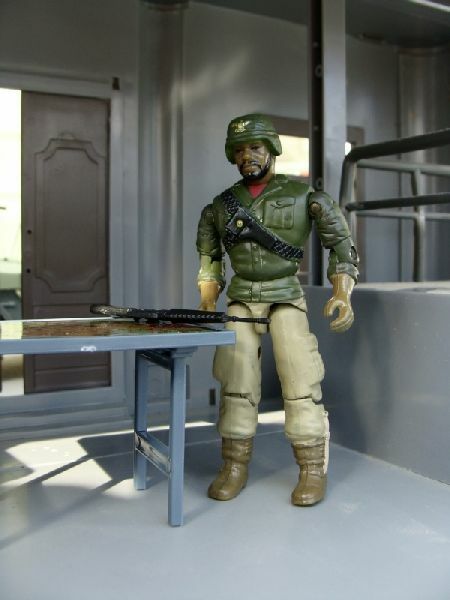 Courage, and have always looked at ways to expand his role in my GI Joe stories. After I noticed the file card for the '93 version didn't allude to him being a new recruit, I figure he could have been a part of the team for years. that's where the inspiration for this figure comes from. 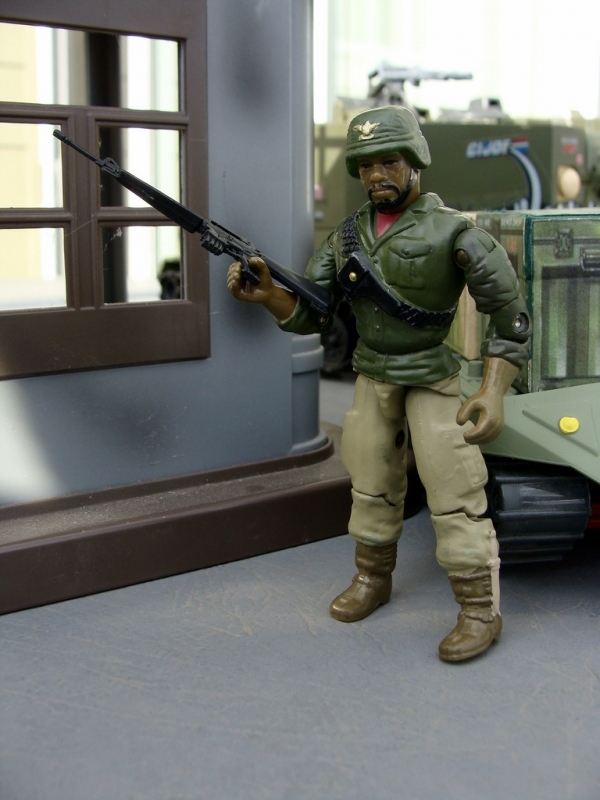 This figure was designed to fit in with my '87 assortment of figures, and would be the man in charge of the Mobile Command Center. I figure Steam Roller would drive the thing, but its Courage that oversees the operation of the giant mobile headquarters.